In last week’s episode of Build, we dove into the benefits and best practices of recruiting remote workers. But as you’ve learned from last month’s Build episodes, it’s not enough to hire talent—you also need to onboard new hires by training them! Training someone to be on a remote team might seem like a challenge since they aren’t sitting next to you. Those who are new to setting up a remote team think that training face-to-face is just easier because you can answer questions as they come up. And it may seem easier when training multiple hires. But rest assured, you can train remote workers, and in a way that scales as you hire multiple people at once. In today’s episode, we’re going to share a number of proven strategies that have worked across job roles. We’ll be sharing foolproof techniques for holding remote workers accountable and how to retain them long-term. One last thing to keep in mind: There is a difference between a remote-first and a remote-friendly company. If you’re not familiar with the difference, we’re going to dive into it and talk about how it can impact long-term retention of your remote workers. Holly Cardew, Founder of Pixc, is back to help us out. Holly has grown and scaled her team across Australia and Asia, and has done so in a number of job functions spanning both the business side, with roles such as virtual assistants and marketers, and the technical side, hiring software developers and designers to build the product. If you have a remote team, how do you train, retain, and hold your employees accountable? Let us know in the comments below this video. 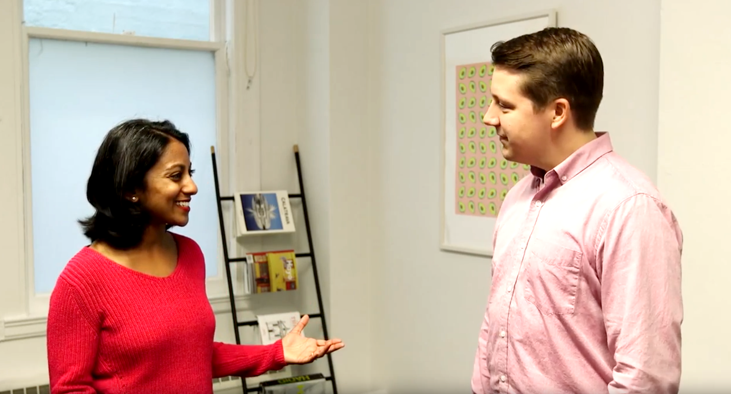 Poornima Vijayashanker: In the previous Build episode, we shared a number of strategies for recruiting remote workers. If you missed the episode, I’ve included the link to it below. Now, it’s not enough to just recruit employees. You’ve also got to train them, hold them accountable, and retain them. In today’s episode, we’ll dive into how to do this, so stay tuned. Welcome to Build, brought to you by Pivotal Tracker. I’m your host, Poornima Vijayashanker. In each episode, innovators and I debunk a number of myths and misconceptions related to building products, companies, and your career in tech. As an employer, once you’ve recruited remote workers, you need to train them, you need to hold them accountable, and of course figure out ways to retain them. If you’re wondering how, Holly Cardew, who’s the CEO and Founder of Pixc, is back. Today we’re going to be sharing a number of strategies on how to do this. Thanks for coming back, Holly. Holly Cardew: Thanks for having me again. Poornima Vijayashanker: Yeah. OK, Holly, one of the biggest misconceptions around retaining remote workers is this idea of remote-first versus remote-friendly. Maybe you can explain what each of these are and how they impact retention. Holly Cardew: Sure, so the difference…Well, what remote-first is means that everybody is remote. There is no head office. There is no main office. Everybody can work from home. They could work in a coworking space or a café. Remote-friendly is that there is essentially an office, and then the office allows you to be at home or at the office when you would like. We’ve never had remote-friendly. We’ve always been remote-first. But the issue I see with remote-friendly is that there is a lot of miscommunication, because everybody is…You can either choose to be involved in the culture and be at the office, or you can be at home. It’s kind of a little bit warped, whereas remote-first, because we were remote-first, we had to build a really strong culture from the beginning. There’s no thing that I was at the office, or I was at wherever, a space, with three employees and not the other 20. That’s where I think in terms of retaining, it’s just really important to build a strong culture either way, but there is a little bit of miscommunication in the remote-friendly one. Poornima Vijayashanker: Yeah. Do you think people feel left out maybe? Holly Cardew: Yes, definitely. Well, they may or they may just not want to get involved, which therefore impacts the team because the team feel like…The team who are in the office feel like they’re doing more, and the person at home may not be. Poornima Vijayashanker: Got it. OK. We also know that in any company, in order to retain employees, you have to train them, but it can be a challenge to train people when they’re not right in front of you. What are some best practices when it comes to training remote workers? Holly Cardew: It’s so important to document. At the beginning, I didn’t document. I would get on Skype or Google Hangouts, and I would tell the same person the same thing. I realized that I was repeating myself. Our best practice is really to document, but also make everybody responsible for documenting. It’s not my job to write everybody’s roles. I always tell the next person I hire that they’re going to be responsible for the next team member that joins. They need to keep their own documentation. 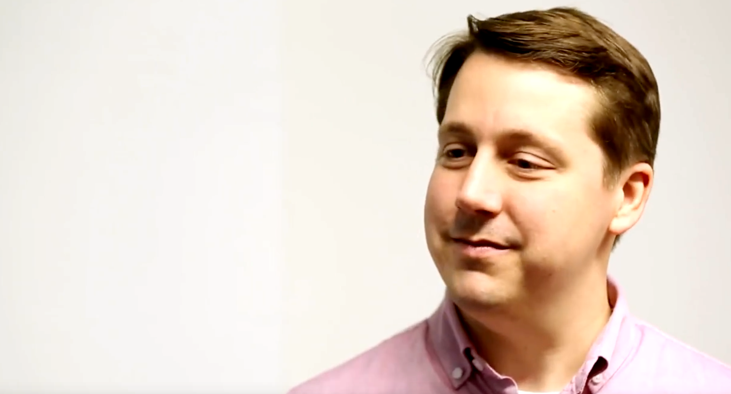 We’ve also started Google Sites, so we have Google Sites which also connects to Google Drive and Google Documents, but that place is like…Google Sites is really the place for us where we can talk about the culture, the values, and the missions of the company, but then have all the documentation in there. It’s a one, sort of essential portal. Poornima Vijayashanker: Nice. Then what about when it comes to actually training people? Holly Cardew: It depends on what team they’re in. We usually have an onboarding process with their team lead, whether it’s marketing or customer service or engineering. Then we have a weekly team meeting. They’ll have an onboarding session, but we have check-ins, more check-ins I would say at the beginning than further on down the track. Poornima Vijayashanker: Mm-hmm. A couple things that we do at Femgineer are I record all the videos, because like yourself, I got tired of saying the same thing over and over again. The other is I have screencasts, and I also have an employee handbook, and much like yourself, have people update that once a quarter. As we scale my training efforts, do you have any that you recommend? Holly Cardew: We actually do a lot of what you do. I think that you made a really good point. We do a lot of screencasts as well. I think we try and implement the philosophy that even if you’re just doing a quick call…They may have been in the job for six months, but if you’re doing a call with somebody via Google Hangouts, record it. It doesn’t have to be perfect. Just put it in the folder with that question or showing that person how it’s done, so the next person who comes along doesn’t have to ask the same question. Poornima Vijayashanker: Yeah. I also do it for our meetings, because sometimes people get sick. 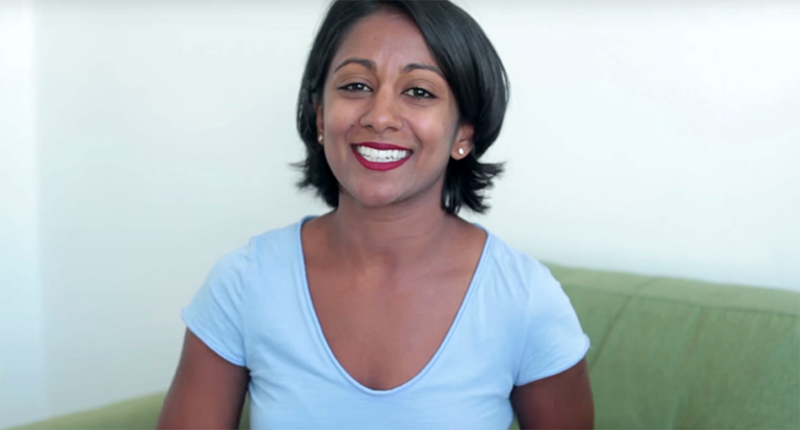 Poornima Vijayashanker: Instead of having one person type up all the notes or play phone tag, it’s easier to just say, “Hey, watch the recording. If you want, watch it, double the speed.” It’s a great way to stay efficient and keep everybody in sync. Holly Cardew: Do you record every week or every meeting? Poornima Vijayashanker: Yes, we do record all of our all-hands. Then if it’s a particularly training meeting, if I’m walking somebody through it, then I’ll also do the recording. Zoom has been great for us to do the recordings. It just automatically records it. Then I’ll upload it to Google Drive and label it whatever the training was about. Holly Cardew: Cool. Where do you put all your documentation? Poornima Vijayashanker: In Google Drive. Poornima Vijayashanker: Similar. Yeah. On the flip side, there’s also accountability. I know a lot of times managers feel like if somebody’s just sitting right next to them or in the cubicle farm somewhere, they’re a lot more present and they’re getting work done. But I’ve been in environments where people spent that eight hours in their cube surfing the internet. How do you hold people accountable in a remote team when they’re not even near you, you can’t see them? Holly Cardew: For us, it’s really about the goal and the work that they achieve. We could be counting hours and minutes and what they’re doing. Some days, I do get a little slightly frustrated, because I want the person to be…I expect them to be there and they’re not, but at the same time, we’re flexible with time. It’s about getting the work done. If people have never hired online before, I actually suggest for them to use a time tracker. I know that platforms like Upwork have…What they do is they take a screenshot of the screen every 10 minutes, and you can check a work diary of what the person’s doing. For us, it’s really about trusting the person at the end of the day. I don’t want to sit there and look over their shoulder every single minute on what they’re doing online. I just want them to deliver high-quality output of their work and their goals for the month or for the quarter. What we’ve done is we’ve set up team goals. Instead of me setting goals for the team, we agree on them. They can say, “Holly, that’s not achievable,” or, “Yes, that is achievable,” or, “That’s a push goal,” but we both agree before moving forward. Then they can’t come back and say, “That was too much work,” because they also agreed to it. Poornima Vijayashanker: Yeah, but what about some of those nitty-gritty tasks like, “Oh, I thought so-and-so was going to write this blog post, but then they didn’t, so it didn’t get it done”? Holly Cardew: No, we have everything documented in spreadsheets. Holly Cardew: Like the task at hand and the person responsible and the due date. Holly Cardew: Oh, that’s interesting. Poornima Vijayashanker: —on what the tasks are going to be. It’s also a great way to then, if somebody can’t do a task, to hand it off. The checklists and all the documentation is in there, and that way, if for whatever reason it doesn’t get done, someone else can pick it up and run with it. We’re still flexible within that. If it’s really like, “Oh, this person had five tasks, and it was unreasonable that week,” then it’s OK, but if you look and see that none of the five tasks were done, then clearly something is up. I feel like the tools have evolved to a point now where it becomes very transparent on who’s getting stuff done and who isn’t. Holly Cardew: Definitely. We have all the tasks listed out. We have used Trello depending on what the role is, again, so we’re doing some new feature builds. It involves having the UX and the front-end engineer and the back-end, so we want to keep it all on track. We do use JIRA, too. We probably use one too many tools, but I think everything’s well-documented, so we know who’s doing what and if it’s being achieved. Poornima Vijayashanker: Yeah, and then just going back and kind of grooming that periodically to see if things are no longer a priority or aligned to your goals. Poornima Vijayashanker: Yes. As your team scales, communication obviously becomes a bottleneck. What would you recommend to keeping people in sync? Holly Cardew: What we do is we’ve actually broken up in the teams into mini-teams, so tech and product, and then marketing and customer service, and then internal operations. The reason for that is we don’t…The tech don’t really need to know some of the details, and I don’t want to confuse everybody. We have weekly meetings but in those sort of mini-meetings. Then it means that there’s no miscommunication. It’s quite easy for a small team of four to get together rather than a team of 23. Poornima Vijayashanker: Sure, that makes sense. Another best practice that I have kind of discovered over time is communication escalation, because it’s very easy for people to think that texting has to happen no matter what. I actually over time came up with a framework where, for example, email was for reference. Using a tool like Slack is great for daily communication, archiving messages, kind of going back and taking a look. You could even have a water cooler. Do you have anything like this in terms of communication escalation? Holly Cardew: We do. I haven’t put in a proper framework, but I think over time it’s evolved that people do understand that, yeah, Slack is for daily chat. Email, we still quite like email, because it is a bit like to-do. For me personally, it’s like a to-do list. Then if it’s an ultimate emergency, WhatsApp. WhatsApp’s the place. Poornima Vijayashanker: Yeah, that makes sense. Yeah. Holly Cardew: No matter where you are, it’s handy. We actually have our groups on WhatsApp, so we have our tech and product, our marketing and customer service broken down, so when there is an issue, they can go to a different group. It’s a little bit like Slack in that way. 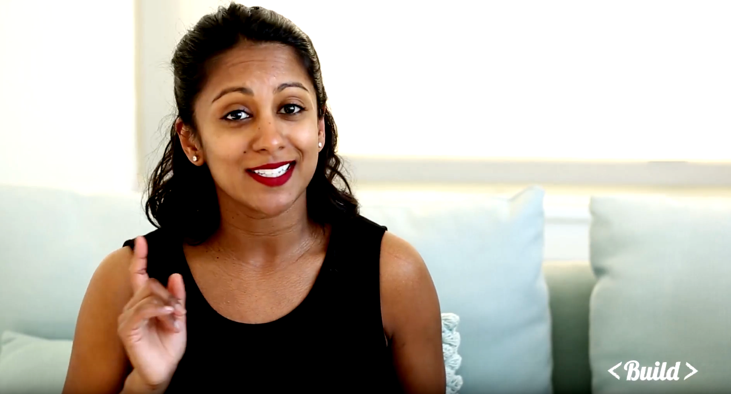 Poornima Vijayashanker: Or, “why are you emailing me all the time?” Having that, I think, is important and figuring out what works for your team versus another team. Poornima Vijayashanker: Right. Exactly. This is great advice, Holly. I know our audience out there is going to benefit from all this. Holly Cardew: Thanks for having me again here. Poornima Vijayashanker: Yeah. Holly and I want to know. If you have a remote team, how do you train, retain, and hold your employees accountable? Let us know in the comments below this video. That’s it for this week’s episode. Be sure to subscribe to our YouTube channel to receive the next episode where we’re going to talk about how a number of these processes will change depending on the nature of work, whether you’ve got a high-stakes project or just daily tasks. Ciao for now. This episode of Build is brought to you by our sponsor, Pivotal Tracker.